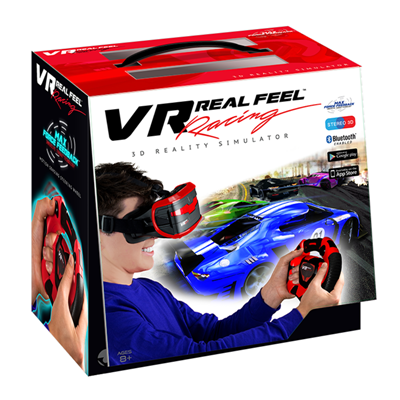 From VR Entertainment Ltd come VR Real Feel Racing and Alien Blaster. 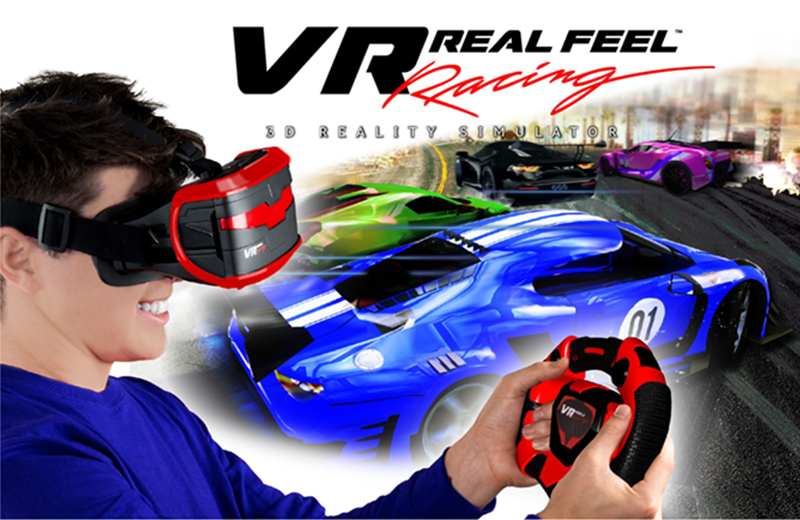 Simply download the relevant game to a smartphone, insert into the headset and select from a variety of cool vehicles and great locations (racing) or different blaster weapons (Alien Blaster). 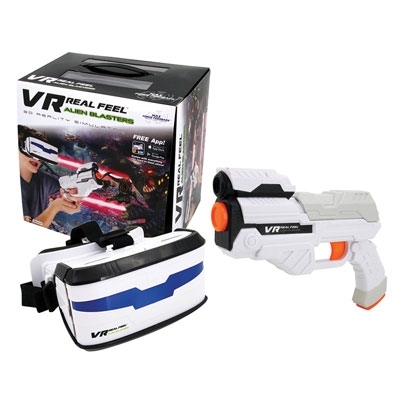 Completely wireless, VR Real Feel items feature a unique Bluetooth connection to either the steering wheel or the alien blaster which minimises the discomfort of head tilting in other VR devices. The experience is enhanced with Max Force Feedback™ technology which makes the steering wheel vibrate and the alien blaster simulate recoil as well as damage sustained.